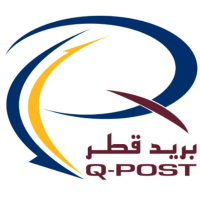 Q-Post is the Qatar Middle East postal service with local and international post and courier services. The Qatar postal service began in 1950 and was officially taken over by the state in 1963. Forward to 2017 and Qatar has over 40 post office locations. Q-Post delivery vehicles are easily recognized by the Q-Post logo and bright yellow coloured vehicles. Track and Trace – Track your EMS parcels, Universal Postal Union, Global Tracking included. Price Calculator – Find out the cost of sending letters, parcels, EMS, and Gulf Express items. Money Transfer – International money transfer with Qatar post. via IFS (international finance service) backed by the UPU ‘Universal Postal Union’. Trusted and secure money transfer to over 180 countries. Shop from Overseas – ‘Connected’ is a brand new service from Qatar Post. Connected.qa allows you to shop via overseas companies and websites that require a local address. Connected.qa provides you a convenient way to shop and purchase from overseas and have them shipped to your home or corporate address in Qatar.